Aaaaand we're back. Sorry, it's been a minute. After a lengthy hiatus, my original interview podcast Sound and Fury is back! Hopefully, we'll get back on track, keep things regular and stick around for a while. In Episode 23, I talk to actor and filmmaker Justin Chon about his award-winning indie film Gook. He explains why he wanted to make a movie set during the 1992 Los Angeles riots, his Korean American family's personal connection to the conflict, and his reasoning behind the film's controversial title. • Gook opens in Los Angeles on August 18, then wider in select cities on August 25. • To learn more about Gook, visit the movie's website. • Watch the trailer for Gook. • Watch a scene from Gook. • View Justin Chon's IMDb page. • The movie I'd always wanted to ask Justin about is 21 & Over. 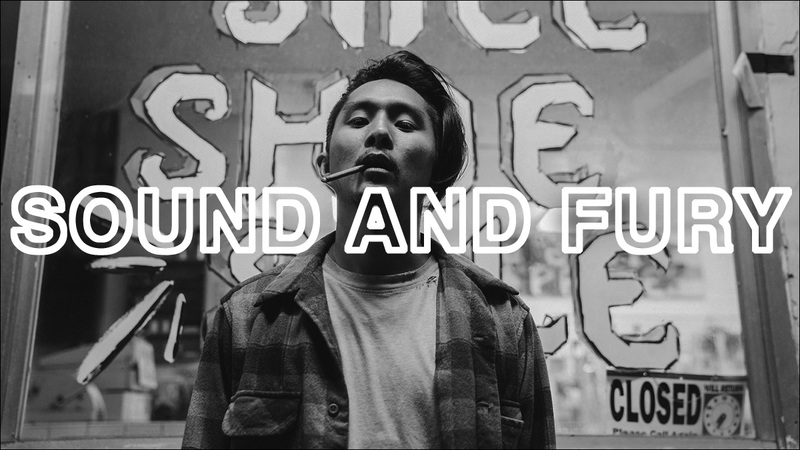 • Listen to our conversation with Grace Lee and Justin Chon on They Call Us Bruce. To catch up on previous episodes of Sound and Fury, check out the archive. To stay up-to-date with future episodes as soon as they drop, be sure to subscribe. You can also find Sound and Fury on services like Apple Podcasts and Stitcher, where you can rate and review the show.